When I was still doing makeup for clients, I buy makeup brushes often. I hate having to clean my brushes right in the middle of a makeup session so I make sure I have a lot of extra brushes with me each time. Now that I've stopped having makeup gigs, I can say that buying makeup brushes became the least priority when it comes to my "kikay" shopping. Anyhoo, let me start bragging (tee-hee!) about my new baby.. 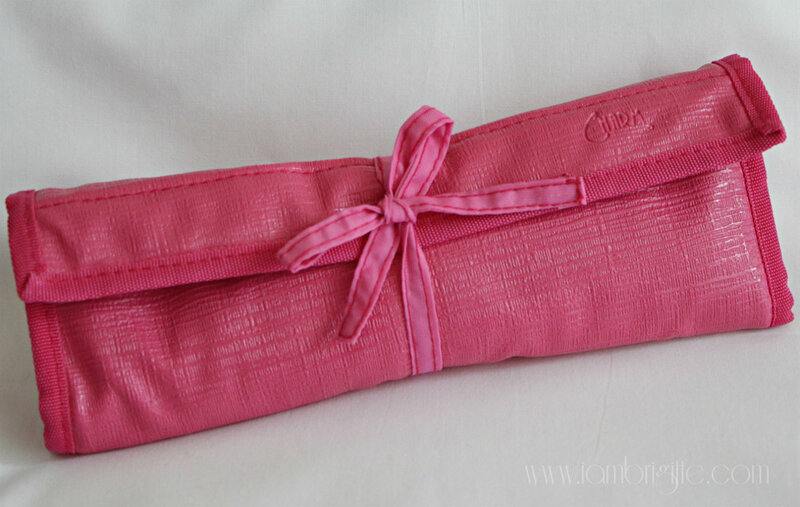 It comes in this cute pink brush roll which is made of the same material that they use in their makeup brush belt. It doesn't look cheap and it can be cleaned easily so you don't have to worry about stains. 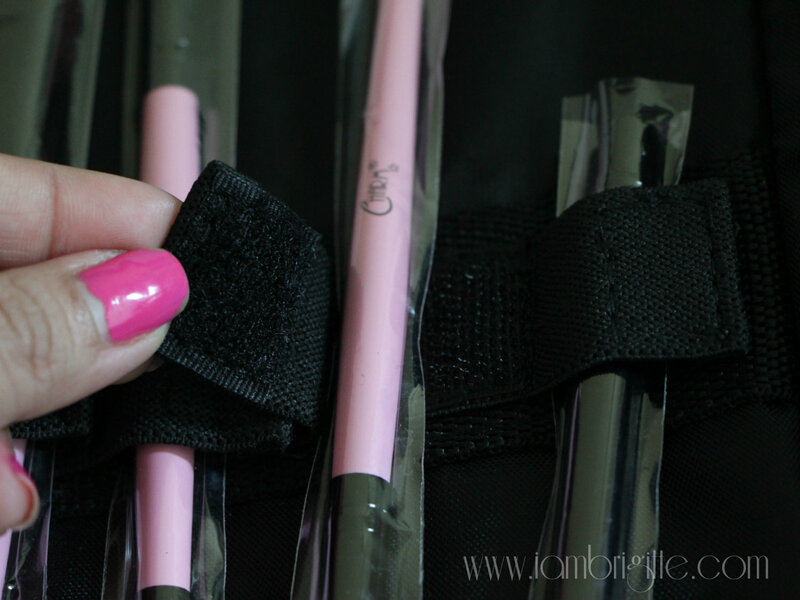 Inside, you'll get 4 dual-ended brushes and a lip brush with cap, so you get a total of 9 full-sized brushes. 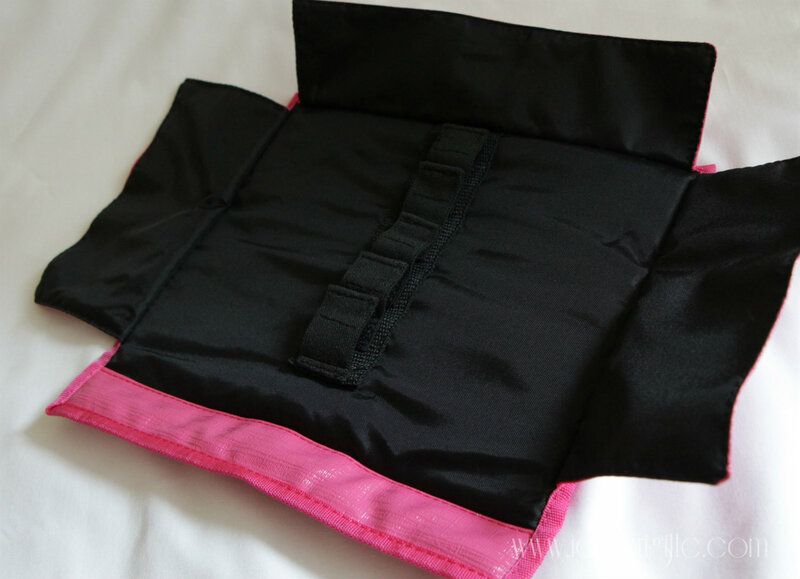 It has flaps on all the sides so you can also put other brushes and they will all be tucked in safely inside the roll. Instead of a velcro strap to close, this one you just have to tie and for me, it makes it more dainty and cute. 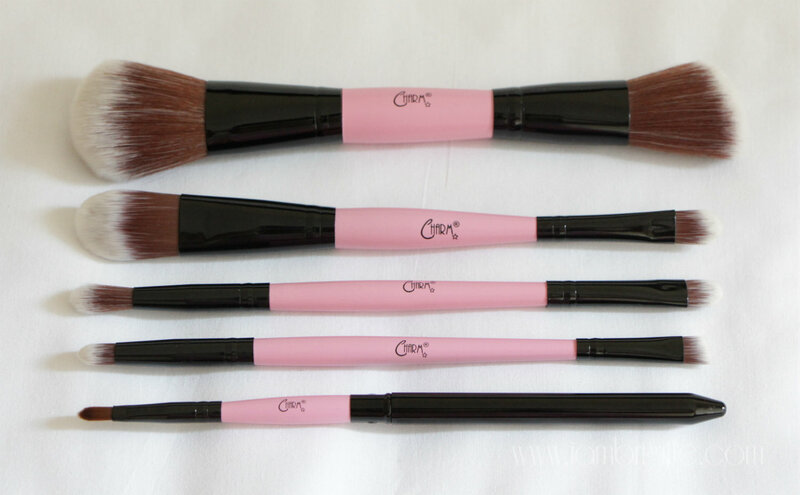 The brushes come in these thin plastics when you get them. I wish that each end comes with a plastic sleeve instead. 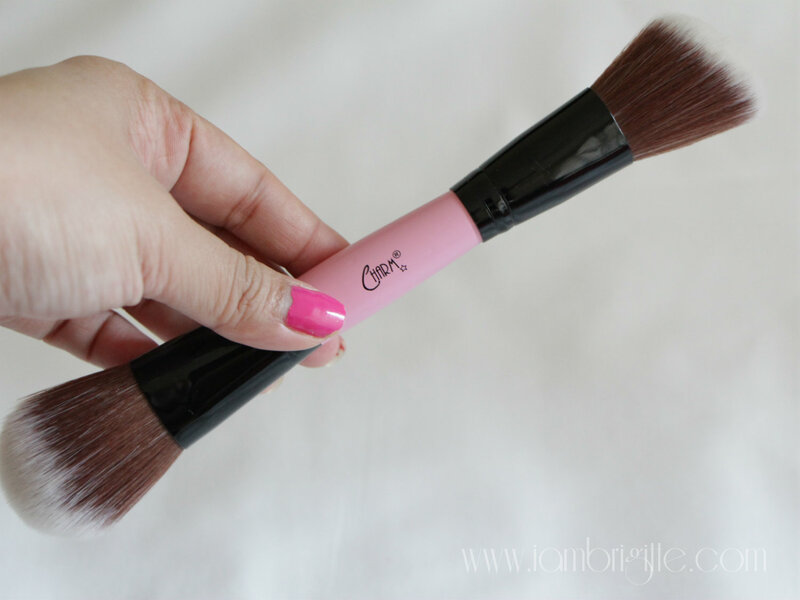 This one gets torn easily and once you have entire brush out, it'll be hard to get it in again most especially for the powder and blush duo. I first used the powder brush end for setting powders but I find it small for that purpose so I use it as a blush brush instead. And I love how it blends my cheek colour seamlessly. 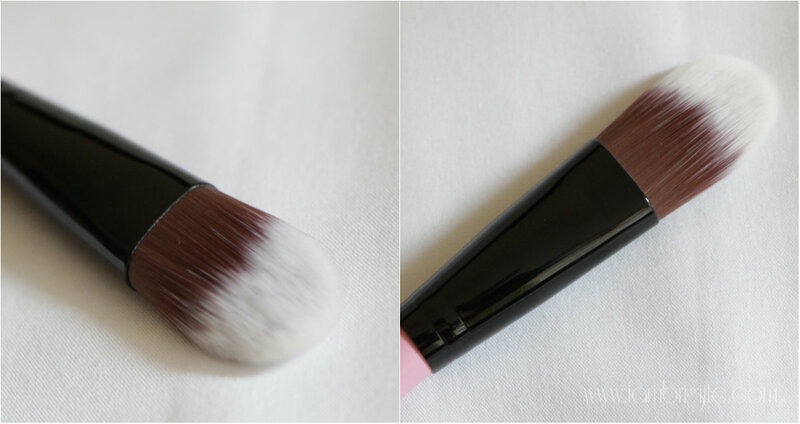 The other end of the brush, which is said to be a blush brush, I use it to apply contouring powder. 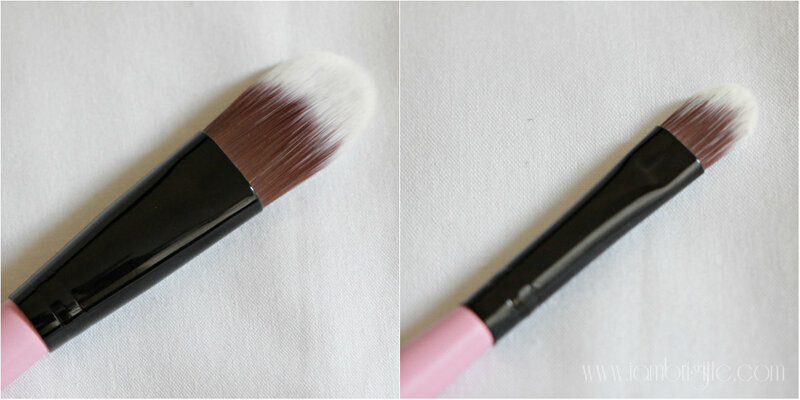 This is the brush that I've been using a lot lately to apply my foundation and concealer. 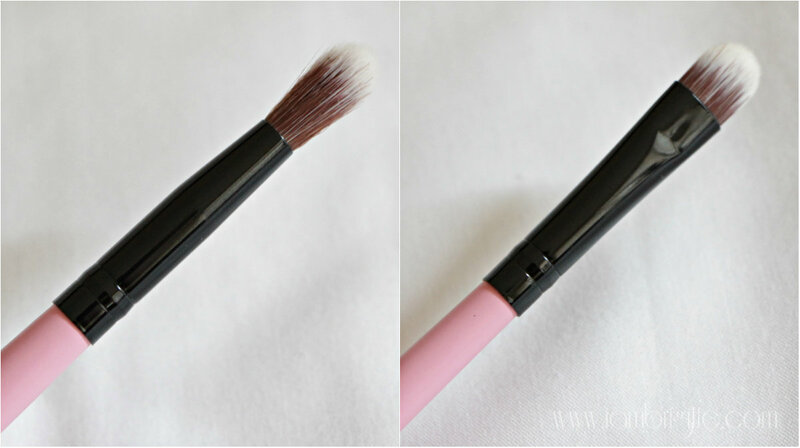 The foundation brush works like my trusty MAC 190. 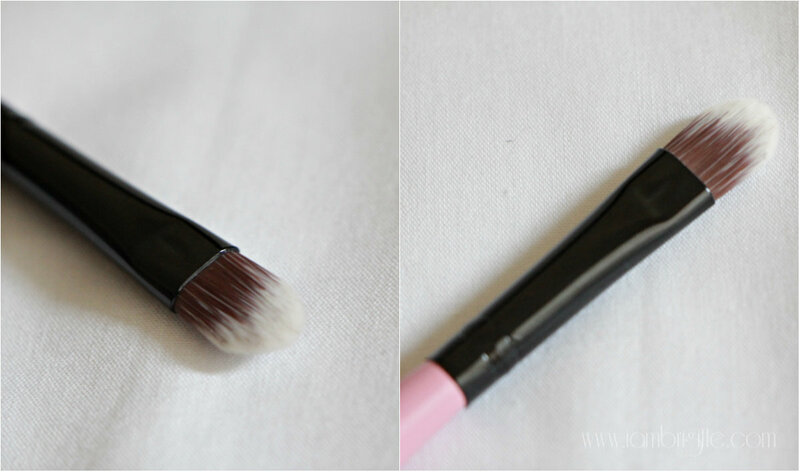 The concealer brush can also be used to pack on eyeshadow on the lids. This duo reminds me of the brush that comes with my UD Naked 2 palette but this eyeshadow brush is a lot more dense, which I love, because I get to pack a good amount of pigment with it. I wish that the blending brush is denser though because I want colours to be well-blended most especially those that I'd be placing on my crease. 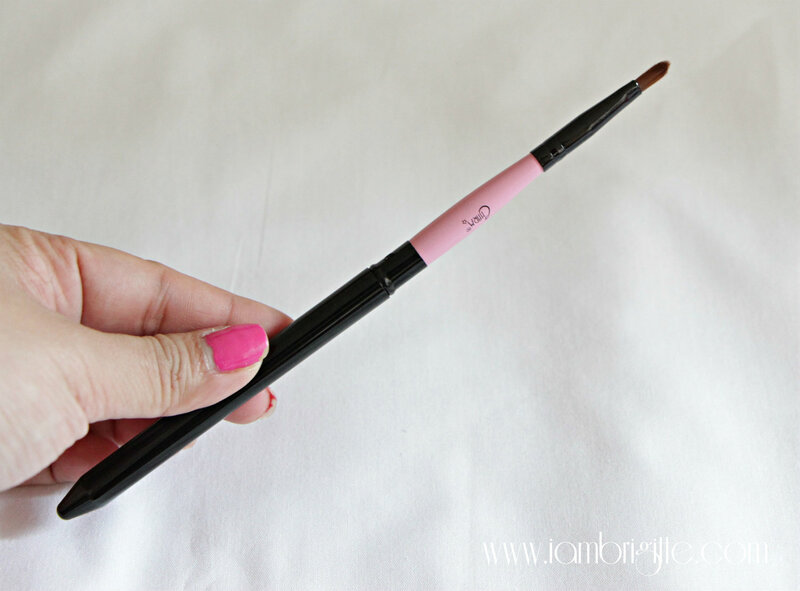 If you're after that sort-of defined crease color, then this brush the one for you. I want my blending brush to be as dense as my MAC 217 or MAC 222. I admit, this is the least used duo in the set. I find the pencil point too stiff to do some outer-V work while I don't really use an angled brush for my eye makeup. I tried using it as an eyebrow brush or as an eyeliner brush instead, but I find it too flimsy. 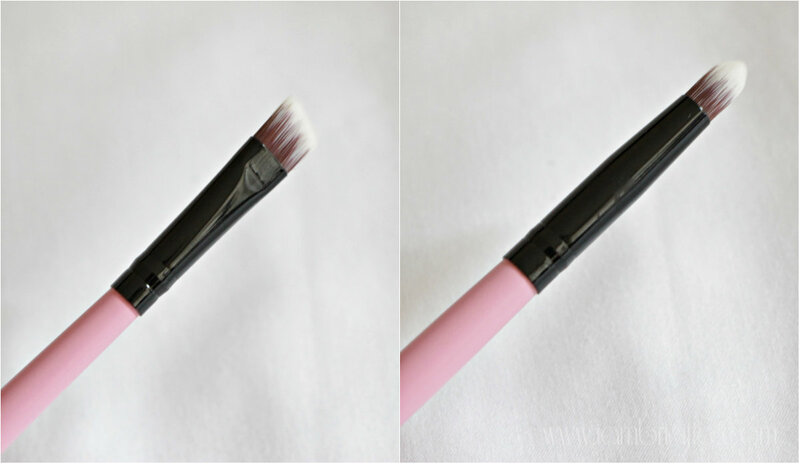 The best eyebrow brush for me is still the one from the Charm Pro brush set, and I wish they have one like that in this set. This is a staple in my makeup kit. 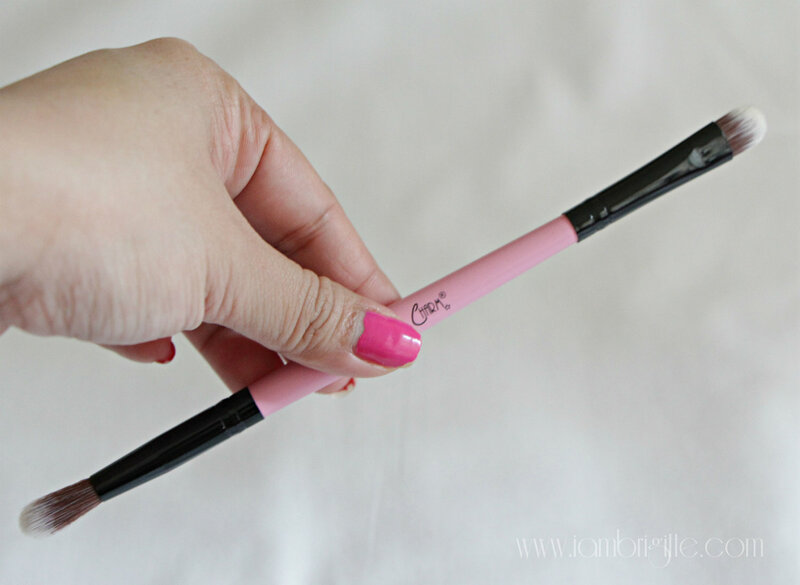 Lately, I've been applying my lipstick using a lip brush and this baby has just the right size for my small lips. 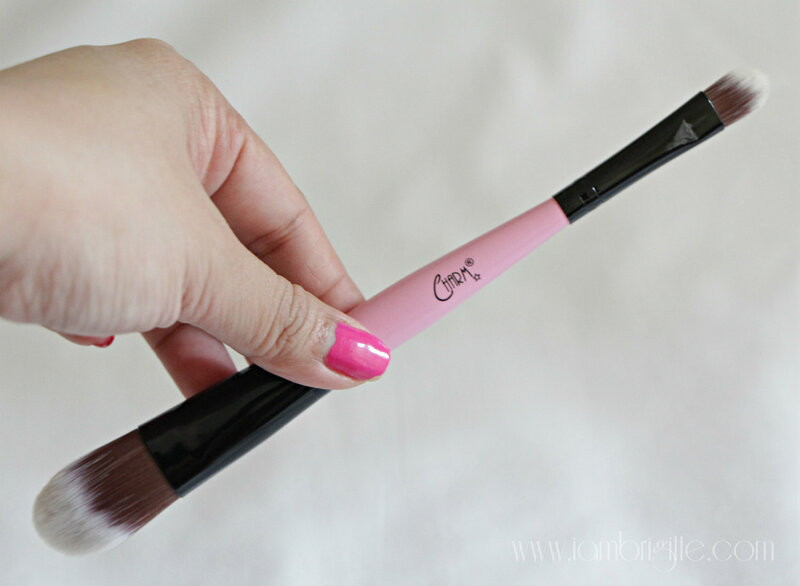 I love that it comes with a cap that looks sleek and classy, but when you take out the brush, there comes cuteness overload because it's pink! Oh well, I guess I will never outgrow my fondness for pinks. 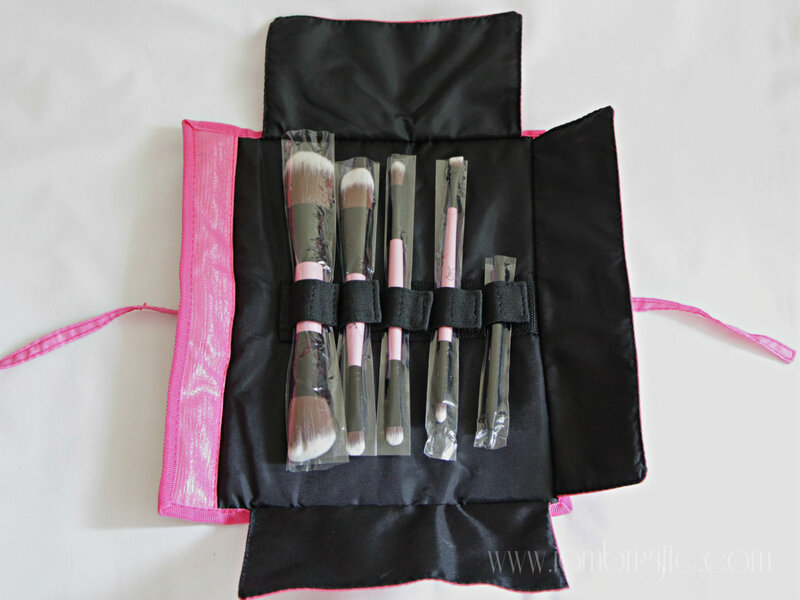 This set sells for Php1599 and if you are on the look out for a good makeup brush set that you can easily bring when you travel, then this set is for you. 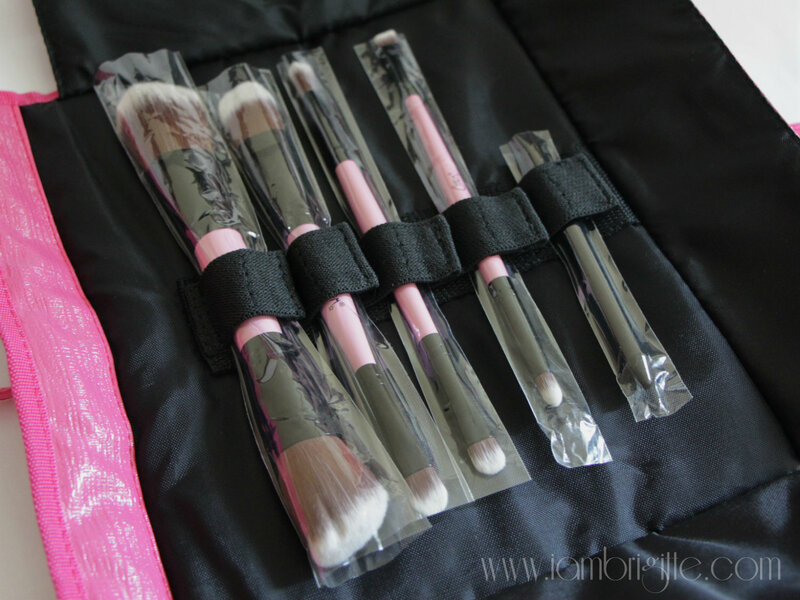 Charm also has the Sonia Travel Pro brush set but with this set, you get most of the essential brushes in full size without having to bring a lot. I was honestly skeptical at first to have double-ended brushes. I was thinking, "how on earth would I be storing them?" since my brushes are all placed in brush holders. But then again, these brushes are not meant to be placed in those. They are not meant to be displayed. 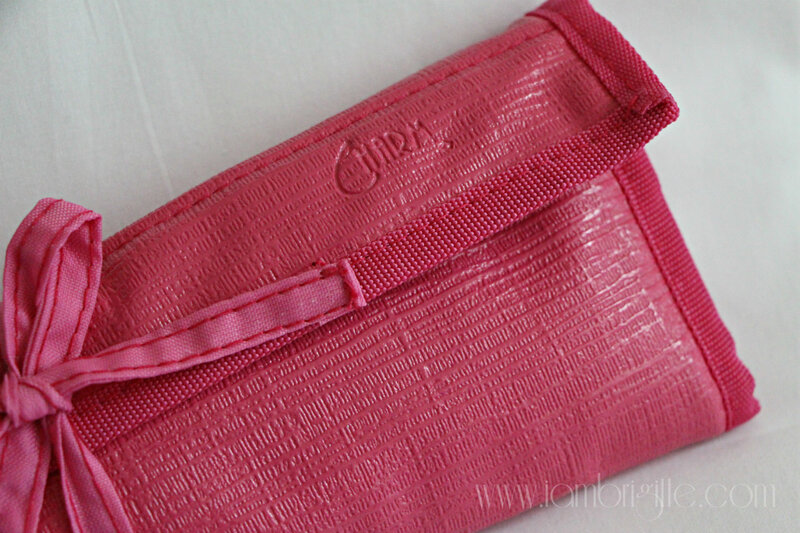 They are meant to be brought when you're travelling and when you need to do your makeup while on the go. So yes, when I'm not using them, I just keep the brushes inside the roll. I love this set and this is what I bring with me when I go back to Dubai on weekends. With this set, I can whip up a full-face makeup (well, almost!) without the need for me to bring all of my brushes which I now just leave in Abu Dhabi. Before, I used to bring all of my brushes back and forth. I did say almost a full-face makeup because I wish it also has an eyebrow and eyeliner brush duo in the set. That would've make this set complete for me. And oh, a stippling brush would be great too! Love this set! 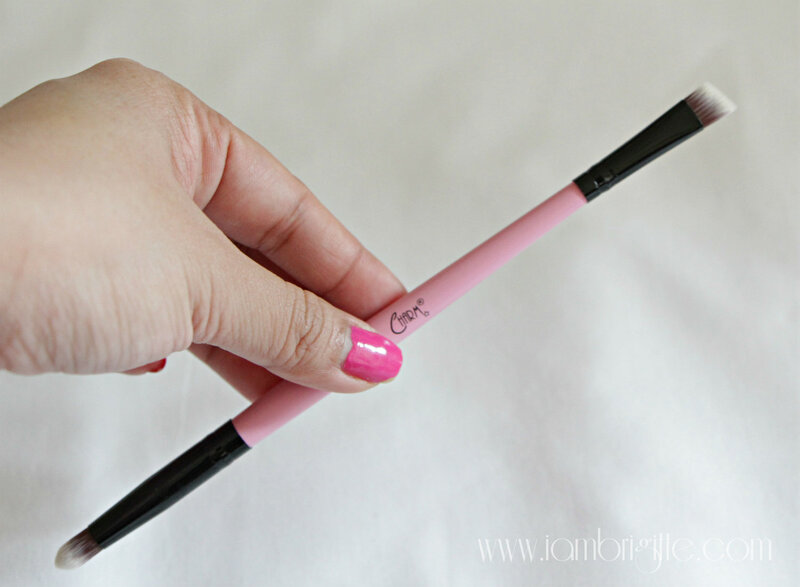 It's perfect for travel cause you get two brushes in one.piece! What a pretty set! It looks great for travel, but I am not sure how I feel about dual ended brushes for every day use. The case is extremely nice though!